I have a store and i am interested in selling Bliss Tattoos ? Please contact us on contact@blisstattoos.com or fill in the wholesale form and we will be get back to you within 48h. 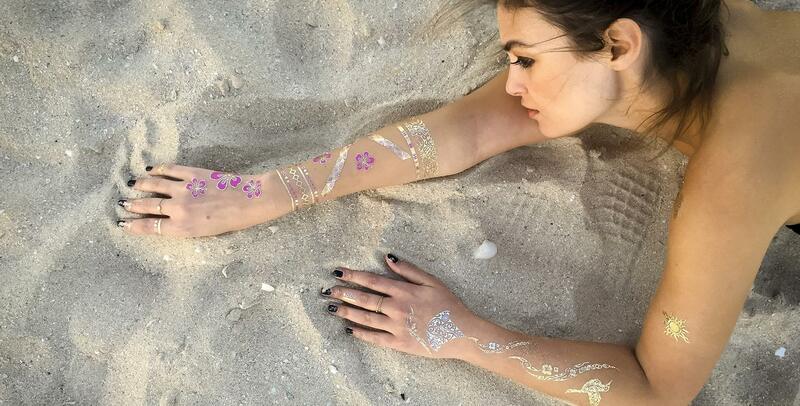 I'm interested in featuring Bliss Tattoos in an event or campaign... Is this possible ? Yes at Bliss Tattoos we are keen to develop partnerships with other brands, artists or companies, we would love to hear from you so please contact us and we’ll get back to you within 48h to happily discuss your project. 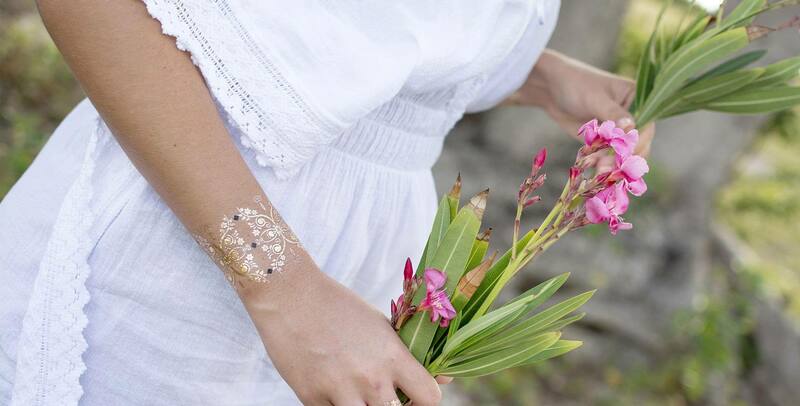 How do i apply Bliss Tattoos ? Easy to apply, you just need to remove the protective film and place the tattoo face down on clean and dry skin. Rub the back of the tattoo with a wet cloth or sponge for 30 seconds and peel back. Are Bliss Tattoos safe ? Yes, totally safe and non-toxic. Bliss tattoos comply with European and international regulatory standards. However we advise not apply to sensitive skin, near eyes, or if you are allergic to adhesives. Bliss tattoos will last about 4-6 days depending on where they are placed on the skin and how well you take care of them. How do i take care of my fabulous new tattoo ? Avoid any soap, sunscreen, lotions or oils near or on your tattoo. These types of oil-based products will begin to degrade the adhesive. How many tattoos are in a collection set ? Each collection includes 3 A5 sheets of various tattoo designs. My tattoo has lost its shimmer, how do i remove it ? 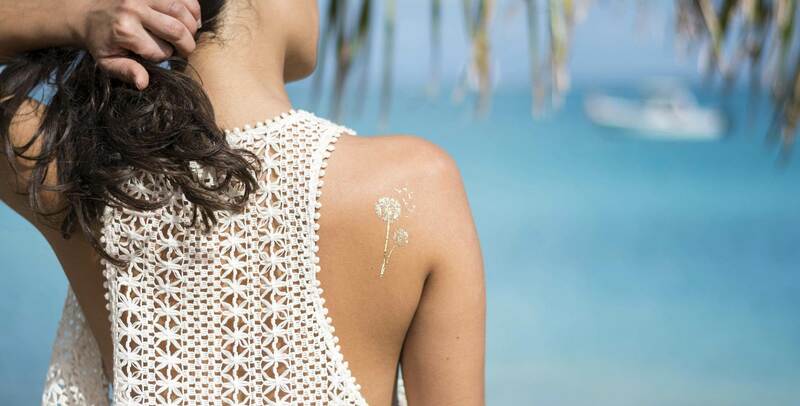 To remove your Bliss Tattoo simply soak your skin in baby oil, or any natural oil such as coconut or almond oil for one minute, then gently scrub off. Repeat as necessary. Then apply lotion to soothe the skin area. What is the shipping process ? All orders are processed and dispatched within 48 h once the payment has been received. We ship via ‘La Poste’ services worldwide. Shipping date is subject to the country of delivery. What is inclued in the price ? Prices are TAX inclusive, please note that if you are subject to additional import or tax charges these are at your charge.